Ai Weiwei: "The Internet is uncontrollable, freedom will win"
It’s easy to forget that Ai Weiwei is an artist, at times. The man who is so often (and rightly) described as ‘outspoken’ and a ‘dissident’ is one of the most vocal critics of the Chinese regime, particularly on the subject of Internet censorship, to the point that it tends to overshadow his work. Ai, who famously designed the Beijing ‘Birds Nest’ Olympic stadium, something he now regrets, discusses the Chinese government and its attitude to technology and the Web in a new op-ed published by The Guardian. In the article, that is also available in Chinese, Ai looks at the affect that the Great Firewall censorship has had on China. An avid user of Twitter — @awiwi — he pens an argument that, in the long term, China’s can’t keep the power of the Internet at bay forever. The government is certainly doing its best to provide that theory wrong. Its heightened efforts to quash ‘harmful information online’ have seen it implement a identification verification policy for microblogs (albeit loosely so far) and make arrests, close websites and restrict Twitter-like services following excessive political speculation last month. China may seem quite successful in its controls, but it has only raised the water level. It’s like building a dam: it thinks there is more water so it will build it higher. But every drop of water is still in there. It doesn’t understand how to let the pressure out. It builds up a way to maintain control and push the problem to the next generation. It still hasn’t come to the moment that [the regime] will collapse. That makes a lot of other states admire its technology and methods. But in the long run, its leaders must understand it’s not possible for them to control the internet unless they shut it off – and they can’t live with the consequences of that. The internet is uncontrollable. And if the internet is uncontrollable, freedom will win. It’s as simple as that. The over-arching effect of China’s Internet freedom, Ai says, impacts on more than just civil liberties, it also blocks creativity, leaving China “far behind” other nations, he says. For example, while those in the US discuss the (unlikely) possibility that Apple might bring its operation and manufacturing plants to the US, China’s dream is for the design of the device, and others like it, to come from within the Asian country. If a person has never had the right to choose their information, freely associate with any kind of ideology, and develop an individual character with some passion and imagination – how can they become creative? Ai is unique in not being afraid to criticise, and be seen criticising, China. Consequently, his vocal comments have seen him handed a series of stiff punishments from authorities. At its worst, he was detained for 81 days last year after a series of comments, released after apparently confessing his crimes. Though initially forbidden to return to social media, Ai quickly returned to his regular diet of Twitter and its Chinese equivalent Sina Weibo. Last year he was hit by a massive $2 million tax bill but his supports used social media to rally round and collect donations to help pay it. His latest scuffle with authorities saw the state order him to switch off a series of surveillance cameras that the artist had set up across his home. Ai had made the feed freely available online from April 2 to mark a year since his detention. 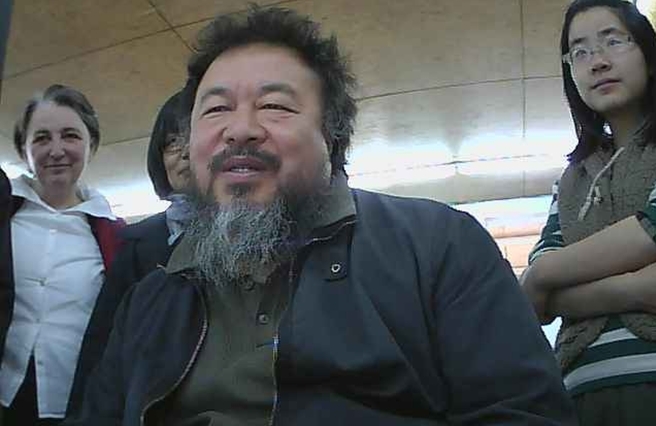 It remains to be seen how his latest article will be received by authorities in China and whether there will be further punishment dealt out to Ai Weiwei for his criticisms. The full opinion article is most definitely worth reading, you can find it here.